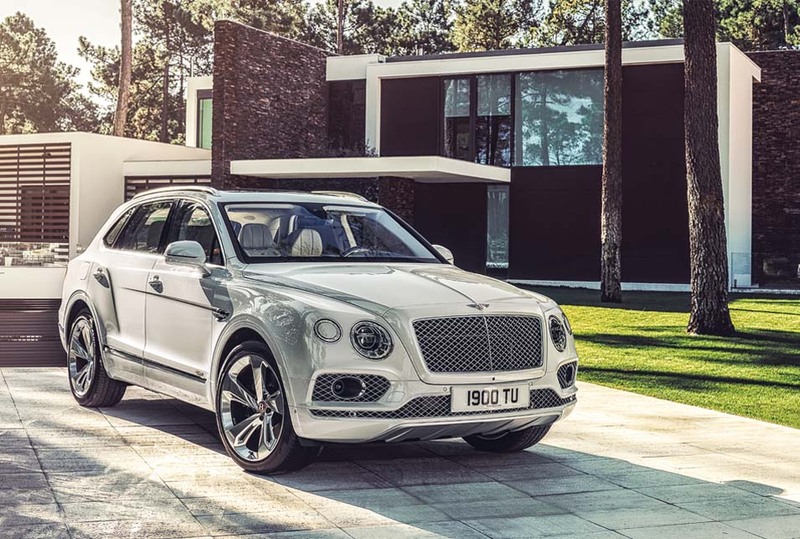 With the Bentayga Hybrid, the British luxury brand Bentley is taking the first step toward a fully electric product range. Delays to the start-up of the new Continental GT weighed on operating profit. The Bentley brand is defined by exclusivity, elegance and power. Bentley presented the world’s first luxury hybrid vehicle during the reporting year. With the Bentayga Hybrid, the British luxury brand Bentley is taking a first step on the path toward a fully electric product range. At the heart of the plug-in hybrid model are a highly efficient electric motor and a new turbocharged 3.0 l V6 petrol engine. The Bentayga Hybrid can cover approximately 50 km in pure electric mode. With CO2 emissions of 75 g/km, it is currently the brand’s most efficient model. Bentley also presented the powerful Bentayga V8 for the first time in the reporting year. It combines luxury with sharp performance and strong practicality. Its V8 twin-turbo engine with 404 kW (550 PS) of power accelerates the vehicle from 0 to 100 km/h in 4.5 s. The new Continental GT had a very positive reception in 2018, both from its first customers and in the media. It is very popular worldwide and will be launched in the USA and in China in 2019. The new Continental GT Convertible was unveiled at the end of 2018, and deliveries will commence in spring 2019. At 10,494 (11,089) vehicles, the Bentley brand’s sales in 2018 did not match the previous year’s record level. While deliveries fell by 14.0% in the USA, they were up 10.9% in Asia-Pacific. In the 2018 reporting year, Bentley sold 9,559 (10,566) vehicles worldwide. This was below the previous year’s level, primarily as a result of the new generation of the Continental GT. The Bentayga was the most sought-after model. In 2018, the Bentley brand manufactured 9,115 vehicles. The 13.6% decline versus the prior year was mainly attributable to product cycles. The Bentley brand generated sales revenue of €1.5 billion in the reporting period, a decline of 16.0% year-on-year. Operating result fell to €−288 (55) million. In particular, delays to the start-up of the new Continental GT as well as exchange rate effects had a negative impact. The operating return on sales amounted to −18.6 (3.0)%.